Storage facilities come in different sizes and you should decide on the size of your storage facility before you book one. Go to our storage calculator to figure out the amount of storage space you will need. The first time that you get in touch with a self-storage facility, you will understand their attitude towards their customers. Opt for storage facilities that are friendly and offer excellent customer service; after all you are storing your belongings in their space. 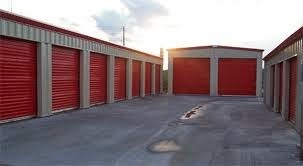 A good storage facility should answer any and all questions you may have. What if you have sudden guests over at night and you need that spare futon that you have put in storage? If you have store your futon in a storage service that only allows access at night, you would be in a muddle. That's why; make sure that when you select a storage service, pay attention that you have 24 hour access to your storage unit. This law applies to your storage unit as well. You don't want your belongings to be stored in damp facilities that are ridden with pesky critters. A good storage facilities always performs regular pest control in its storage spaces. There is an easy way to know if your storage space will be properly maintained. Visit the office of your storage facility and pay attention to the cleanliness there. The office should be dusted, have a clean floor and neat, well-groomed and polite employees. A clean office shows that the facility is well maintained. Valuable items like fur and jewellery always need to be stored in temperature and/or humidity controlled units. If you intend to store valuables in your unit, always ask for a vault that is temperature-controlled and humidity controlled. You don't want your stuff stolen, do you? Security is of prime importance. A secure storage unit has security cameras and guards and computerizes access. At Storage in Beirut, we offer the best customer service in all of UAE. When you move your belongings to your unit, you can access your unit anytime, 24 hours a day. We also have units that are temperature controlled and humid controlled. We have 24 hour security guards at each of our storage units. SO what are you waiting for? Visit our website www.beirutmovingandstorage.com today to book your storage unit.